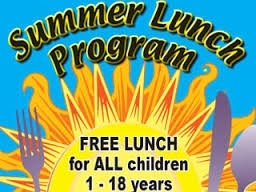 The South Beloit School District will be sponsoring a free breakfast and lunch program for all children ages 12 months to 18 years of age. This program is sponsored by the Department of Agriculture and the South Beloit School District. Please look at the following times below to see when the summer program is taking place. Meals will be served June 2nd- June 27th at the South Beloit High School, 245 Prairie Hill Road.